What Ethical Issues Are Important to Understand in International Adoption? Unlike in domestic adoption, where a birth mother may choose a prospective adoptive parent for her child, most children in international adoption are in foster or orphanage care. Relinquishment of the child by the birth family may be due to poverty, disease, stigma, or even the birth family’s inability to care for a child with special needs. But corruption and fraud do happen. In 2007, for example, almost the same number of children were adopted from China as from Guatemala, a country 88 times smaller. Concerns over the selling and trafficking of children led Guatemala to close all international adoptions that same year. But there is good news. Thanks to the 1993 Hague Convention, all Hague Convention countries must comply with standards preventing the abduction, sale, or trafficking of children. This means if you are considering adoption from a Hague Convention country, your prospective child will have been found free and clear for adoption by both the U.S. government and the child’s country of origin. Click here for more information on adopting from a Hague Convention country. To learn more about adopting from particular Hague Convention countries, visit Adoption.com. Where Will the Child Have the Best Future? Whether a child’s future is best served in his or her birth country or abroad is a highly sensitive and potentially controversial question. 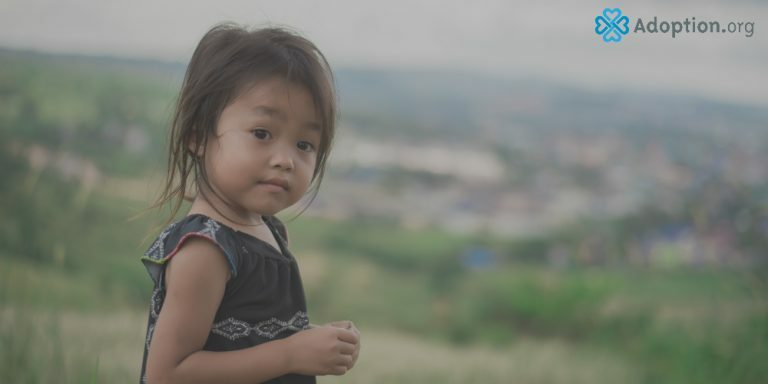 One of the provisions of the Hague Convention is that, prior to considering international adoption, every effort must be made to place the child in his or her country of origin. Considering all nations have a duty to protect and care for their citizens, including abandoned children, international adoption is often a last resort. But international adoption should never be thought of as a right but rather a privilege for both the receiving and the sending countries. The sending country must be assured of the potential for a better future for the child, and the receiving country must demonstrate a willingness to protect the rights and future of that same child. This protection includes background checks, home studies, and dossier compilation, as well as a mandate from the Hague Convention that all prospective adoptive parents complete a minimum of 10 hours of prospective adoptive parent education prior to placement. This education is designed to prevent disruptions in adoption and may include topics such as attachment issues or transracial and cross-cultural parenting. When a child is adopted internationally, his or her journey does not end after arriving in the receiving country. While some may argue that the child’s immediate need for love and a sense of permanency has been met, such a view does not take the whole child into account. When you choose to adopt internationally, you don’t just gain a child; you gain a whole country. As an international adoptive parent, you have a responsibility to connect your child to his or her birth country and identity. Whether through celebrating holidays and traditions, learning a language or cultural practices, or simply cooking a meal, it is important to recognize and explore the cultural identity of your child. To insist otherwise is to deny both the importance of the sending country and what makes your child unique. Many other ethical issues deserve consideration in international adoption, and a good Hague Convention–accredited agency can provide a solid starting point. And remember, ethical issues surrounding international adoption are an ongoing dialog. The most important thing you can do is start the conversation. Consider this mother’s experience with international adoption.